With fall upon us, we have been reminiscing about our favorite summer parties. You're never too young to have a garden tea party. This summer, little Lincoln had a 1st birthday party that made us wish it was tea time all the time. 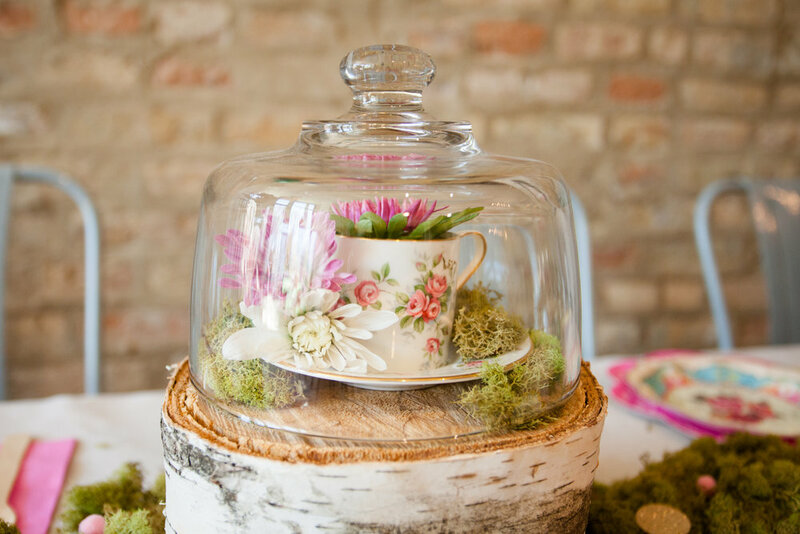 Vintage teacups, flowers, and cupcakes helped transform Heritage Littles into an adorable garden tea party that would have made Alice jealous. A picture is worth 1,000 words and Slumberland Photography did not disappoint. It is always fun to see the photos of the events we plan. It is even more exciting when the photos perfectly capture the vision we had and the details we put together. Jacki was wonderful to work with and we hope our paths cross again soon!